Dj Moz of Kubamba show is one of the most lively and outgoing deejays we have in Kenyan music and entertainment industry. Well, apart from his superb mixing skills that have made him an entertainment guru as well as earning him the fame he now has, Moz also knows how to cycle. 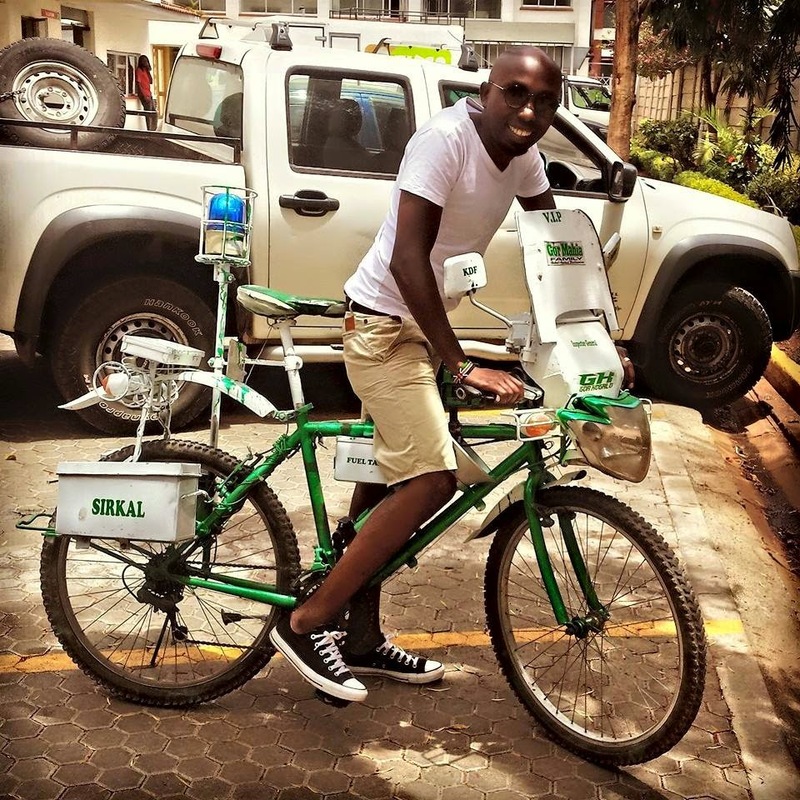 This past weekend, the Citizen TV Kubamba’s show host had the privilege of showing his riding skills on Gor Mahia’s famed die-hard fan Jaro Soja’s bike. Check out Moz trying out the Gor Mahia branded bike.